The National Comedy Theatre is pleased to invite you to a special event benefiting Unscripted Learning on Saturday, December 8th at 4:00 pm at the National Comedy Theatre in Mission Hills. The event will include a short performance by the teenagers in our Connections program, who are impacted by autism and other disabilities. They will be joined onstage by the cast of the National Comedy Theatre. The performance will be preceded by a wine and cheese reception and silent auction for a variety of unique items and experiences. 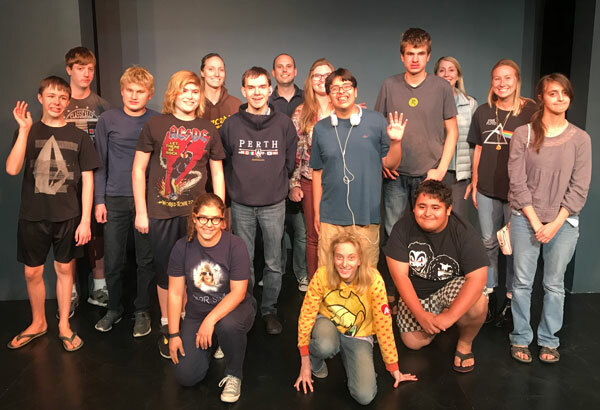 All proceeds will support Unscripted Learning’s programs using improvisational theatre to teach concepts of teamwork, leadership and creative problem solving to teenagers and young adults with autism, high school students and active adults in our educational non profit program. Please help us promote this exciting event by sharing it on Facebook and Twitter, and encouraging your friends to attend! We look forward to seeing you there!